The 2013 MotoGP season has certainly been hotting up lately, with plenty of excellent action and racing battles. 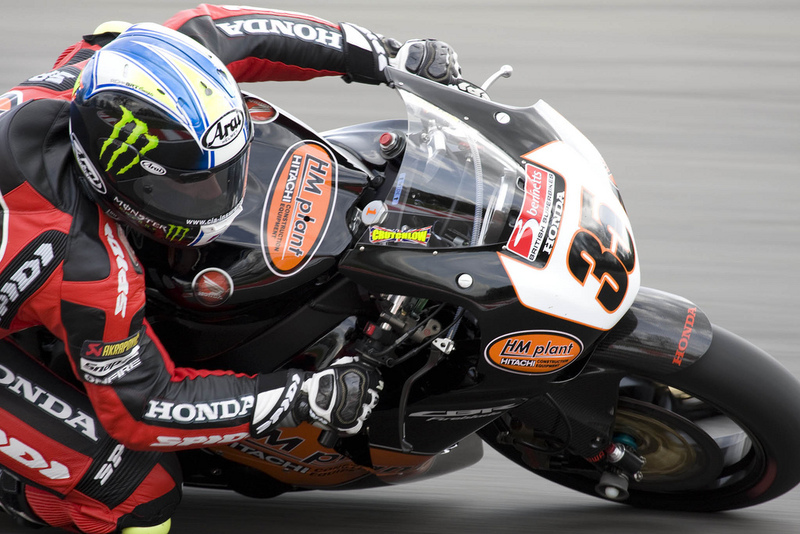 Coming up for the halfway point of the season, the Eni Motorrad Grand Prix will be held at the Sachsenring circuit in Germany between the 12th and 14th of July. The Sachsenring is a little bit of an oddity when it comes to race tracks; despite the fact that it is known as one of the slowest circuits of the season, it is also known as a great track for up close racing action with plenty of tight turns and corners. Sachsenring saw its first MotoGP event in 1998 but was then drastically redesigned in 2001, and modified again in 2003. As one of the most recent additions to the season, it is a modern track with a very good safety record and facilities. So hopefully the riders won’t be in need of Express Insurance to get round the track, which is 3.671 km in length, with 10 left-hand corners and three right, as well as a 700m straight which is where the top speeds are reached. 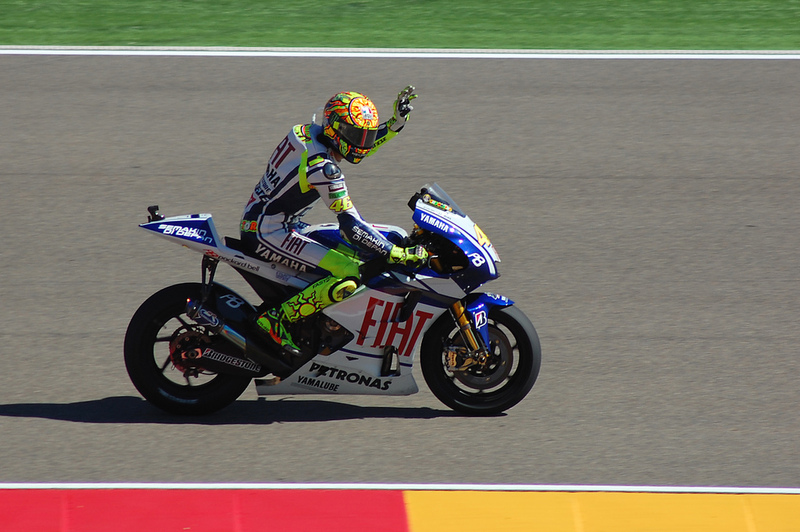 The previous race took place at the Netherlands Grand Prix in Assen, with Valentino Rossi claiming his first MotoGP victory since 2010. The seven-time champion Rossi has had to wait for a long time for this victory as he is not the force to be reckoned with that he once was. The Italian took the lead on the sixth lap and never looked back, with original pole position holder Cal Crutchlow only able to convert his great qualifying run into a third-place finish. The dominating Spanish trio of riders, Pedrosa, Lorenzo and Marquez all finished in the top five, with young phenom Marquez doing best with second place on the podium. Pedrosa finished fourth and Lorenzo fifth, with the German, Bradl, making up the top six. Lorenzo actually did well to get on the bike at all in Assen, having had surgery only days earlier after a 120mph crash in practice. The Spanish triumvirate are still dominating proceedings in the championship table. Pedrosa leads the way with 136 points, with Lorenzo only nine points back with 127, and Marquez catching up on 113 points. Cal Crutchlow maintains his fourth place position albeit a significant distance behind on 87 points, with the added pressure of Valentino Rossi now only being two points behind with his Netherlands victory. As we have already mentioned, Cal Crutchlow had high hopes in Assen due to his pole position start to the race. Despite only managing to convert that into third place, it was still a good performance from the Brit and he will be looking to take it to another level in Germany. Meanwhile, Bradley Smith did very well in Assen in taking ninth spot, a result which sees him in 11th place in the overall table. The only other British rider is Michael Laverty who is having a tough first MotoGP season and will only be looking to improve each time out. Author Bio: Lee Thurgur is a petrol head from Oxfordshire whose father introduced him to a love off all things engine related and he has been obsessed ever since.